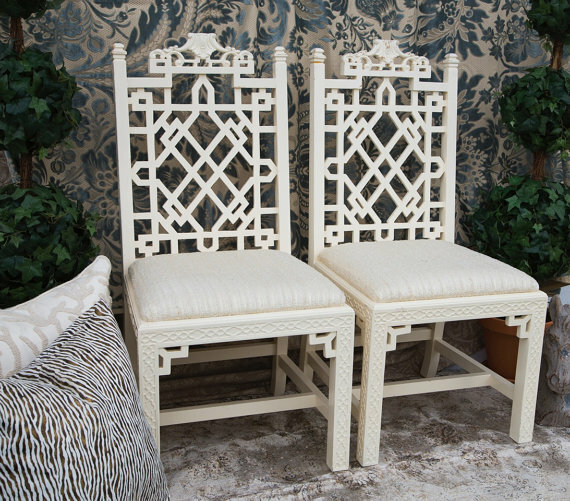 Looky what I found during my latest Etsy search - awesome, unique chairs for the Chinoiserie lover. 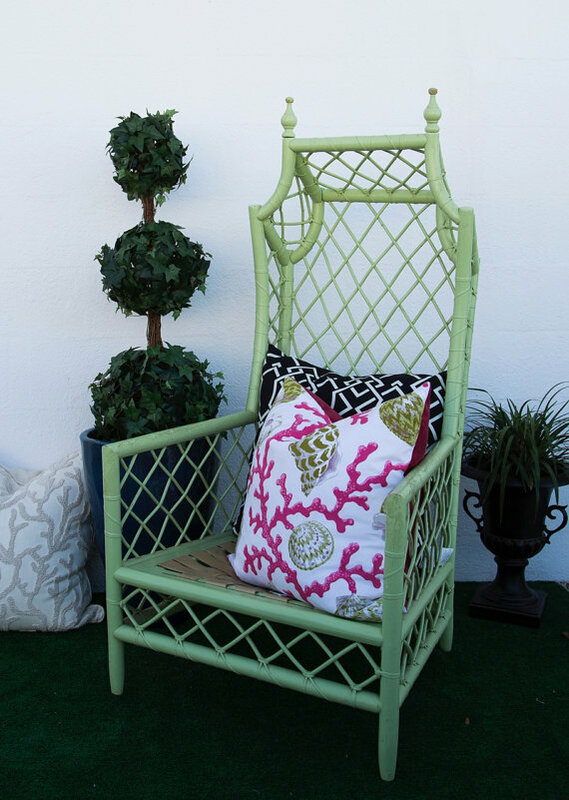 Now, we've all seen fretwork Chippendale chairs and rattan chairs, but can we agree that these are above average? Definite statement pieces. I would love to see the fretwork chairs used as head chairs at a dining table juxtaposed with slick modern side chairs. Didn't realize it as I was favoriting these items that they are from the same shop - AngelandIzzy - specializing in Palm Beach goodies. Definitely worth a look. Daniela these chairs are just incredible finds! What a great Etsy shop!